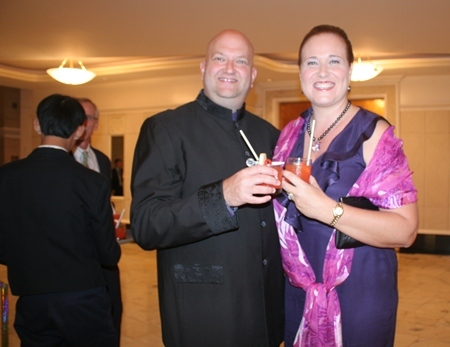 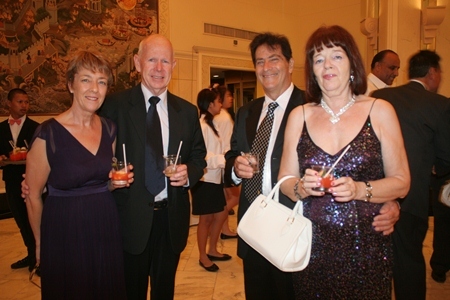 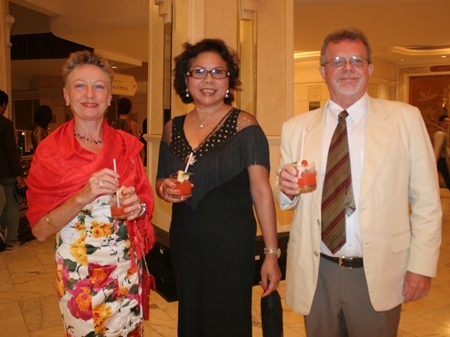 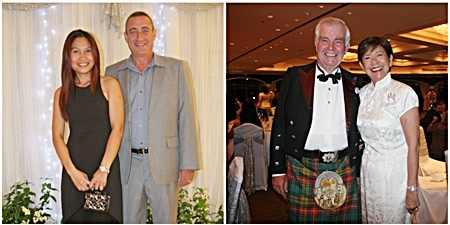 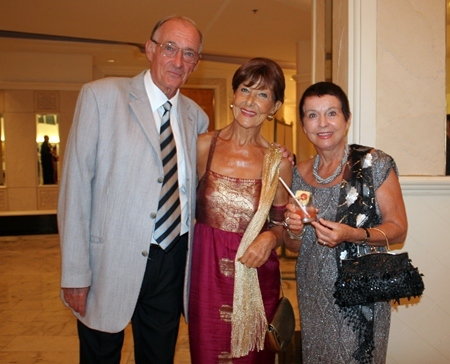 The stars were out on Saturday, Feb. 23, helping the members of the Pattaya International Ladies Club to celebrate 25 years of friendship and service in Pattaya. 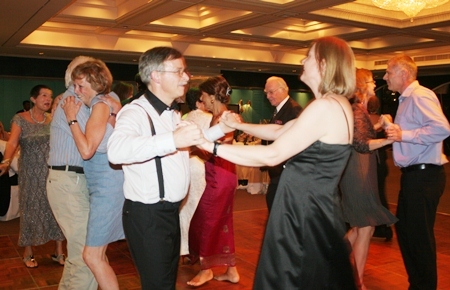 There were 128 guests in attendance at the Royal Cliff Beach Hotel, dancing to the music of The Strollers, bidding on live and silent auction items and enjoying the delicious food created by Chef Walter of the Royal Cliff Hotels Group. 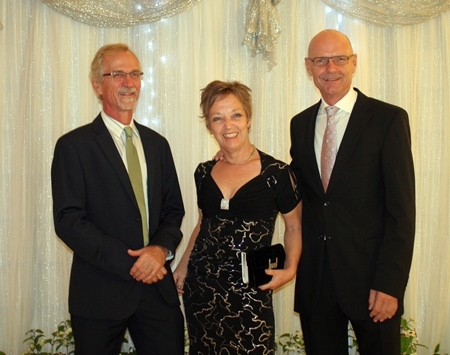 Arlette Cykman is honored for her lifetime contribution to PILC and charitable projects. 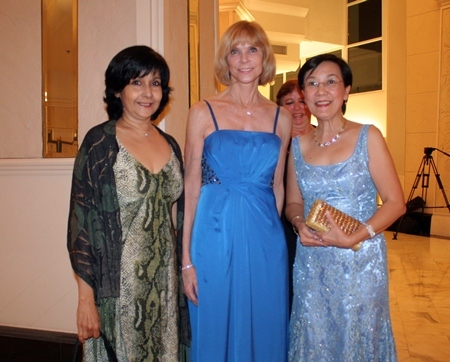 The highlight of the evening was the recognition of three women who were responsible for the formation of the PILC – Pat Burbridge, Somthavin “Tiew” Suphamongkon, and Alvi Sinthuvanik. 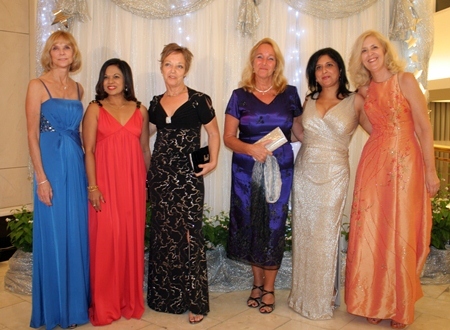 These women met, became friends and were instrumental in creating opportunities for expat women to join in friendship, social activities and to help with charitable endeavors in and around the Eastern Seaboard. 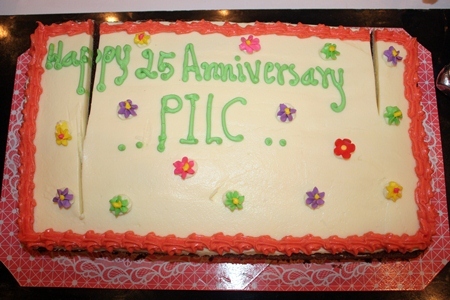 Through their efforts and enthusiasm, the PILC provides many opportunities for expats and locals today. 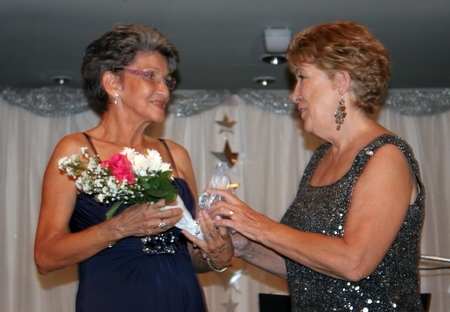 Pat and Tiew accepted gift and flowers from past president, Ann Winfield, and outgoing club treasurer, Lisa Bachmann. 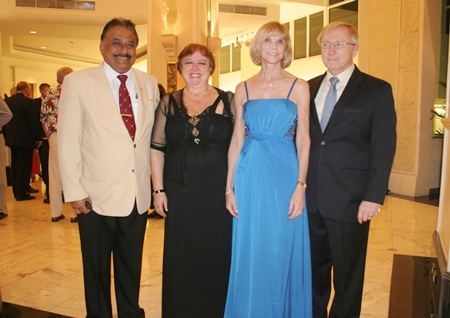 However, Alvi was unable to attend the event. 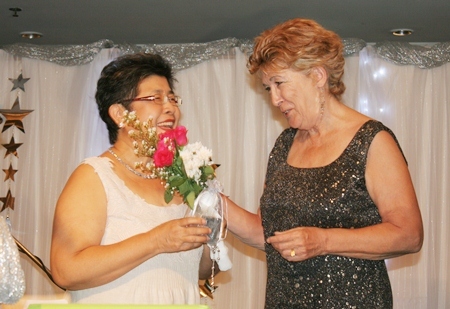 Founding member Somthavin “Tiew” Suphamongkon (left) receives flowers from Ann Winfield. 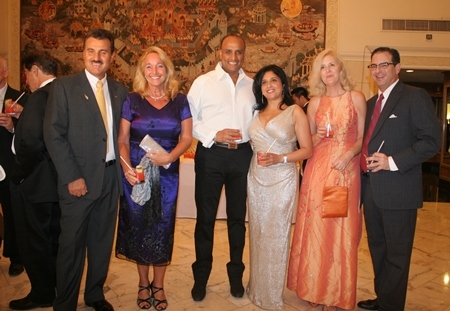 The Master of Ceremonies for the evening was the always delightful and charming Peter Malhotra, managing director of Pattaya Media Group. 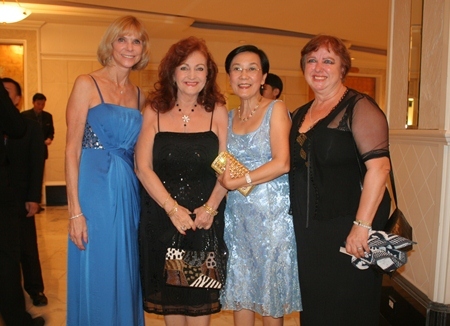 Additional sponsors who were recognized during the evening were Royal Cliff Beach Resort, Bumrungrad Hospital, Cape Dara Hotel, Arlette Cykman, Carpets and Rug House, Ivy Schlafeter, Pim Seaton, Sadiq Carpet Gallery, Bangkok Hospital Pattaya, Ping Nakara Boutique Hotel and Spa, Centara Grand Mirage, Casa Pascal Restaurant, Rabbit Resort and Bang Jing Jai. 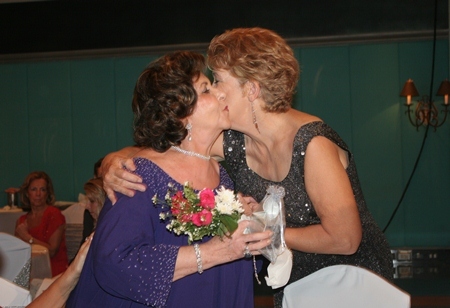 Founding member Pat Burbridge (left) receives a token of appreciation from Ann Winfield. 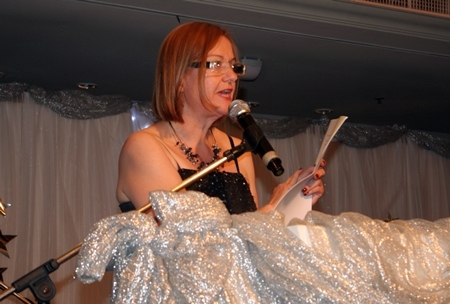 Helle Rantsen, president of PILC for 2013 presents her opening remarks. 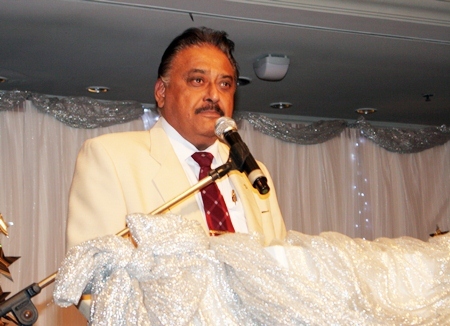 Pattaya Mail Media Group MD Peter Malhotra is the MC and auctioneer for the evening. 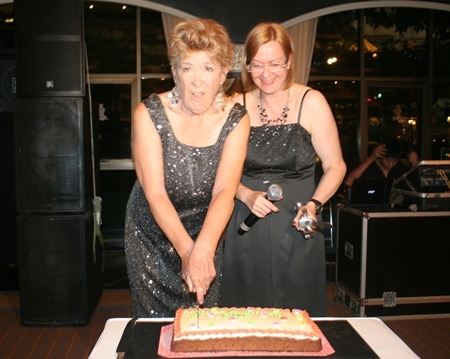 Outgoing and incoming presidents Ann Winfield and Helle Rantsen share a cake cutting. 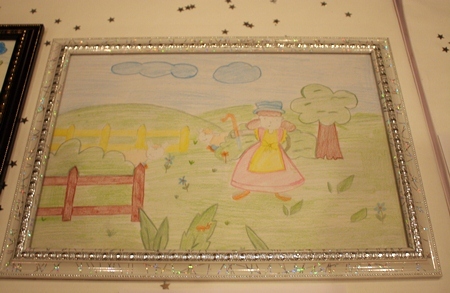 An idyllic scene created by one of the children from Ban Jing Jai. 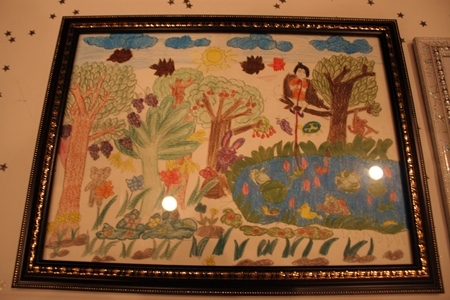 Children’s art from Ban Jing Jai were in demand during the auction. 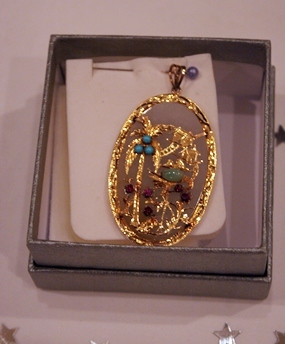 A beautiful gold brooch was up for auction. 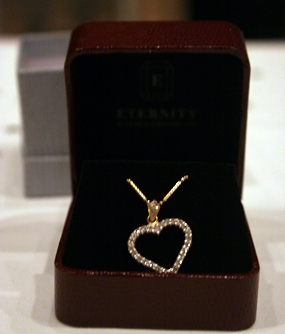 A pretty heart pendant, one of many auction items. 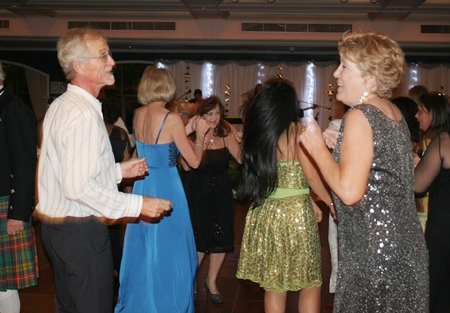 Guests take to the dance floor – after all, it is a Gala Dinner Dance. 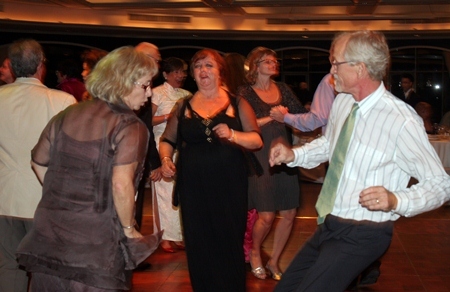 The entire night is great fun!